A firmative action: lift your lids & plump your lips. Eyes and lips get plumped and re-densified with skin-thickening hyaluronic acid from this revolutionary eye and lip contour cream. Apply a small amount to the finger tip and tap completely around the eye area, including the brow bone. Apply on and around the lips. Use twice daily, morning and evening for best results. 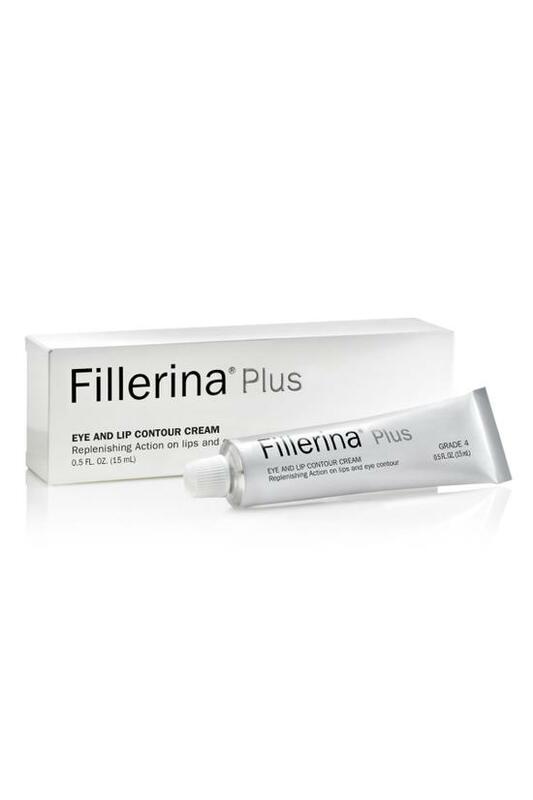 For optimal results, use in conjunction with Fillerina Dermo-Cosmetic Replenishing Treatment. This can be used day and night.